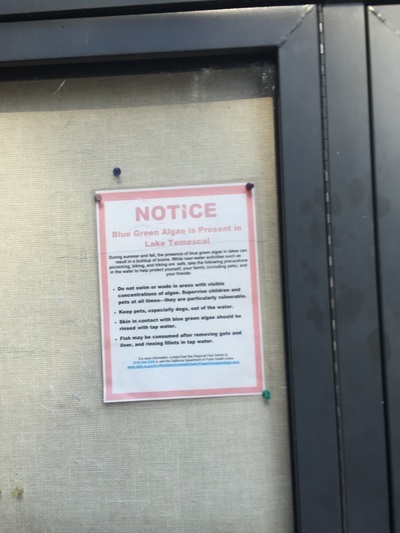 CAUTION: Do not let you dog in the lake, as it has been contaminated with deadly blue-green algae. 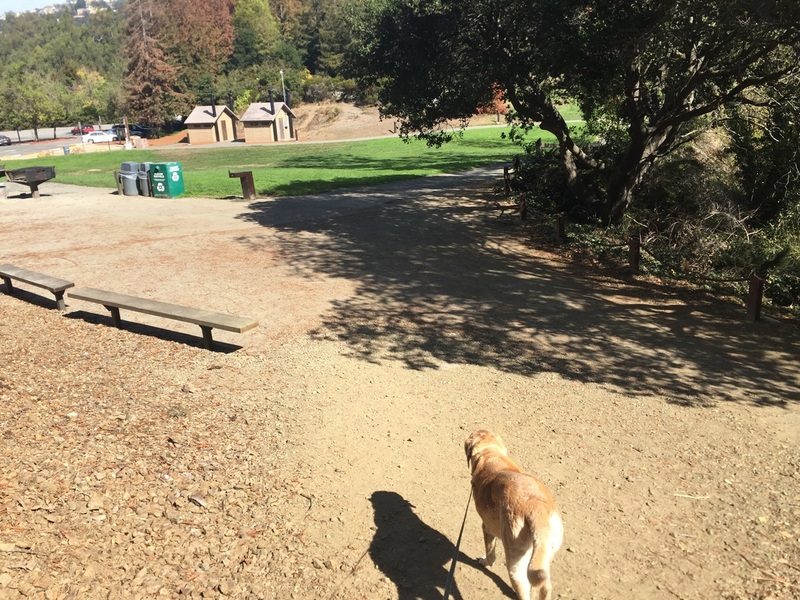 Keep your dog close by on leash. 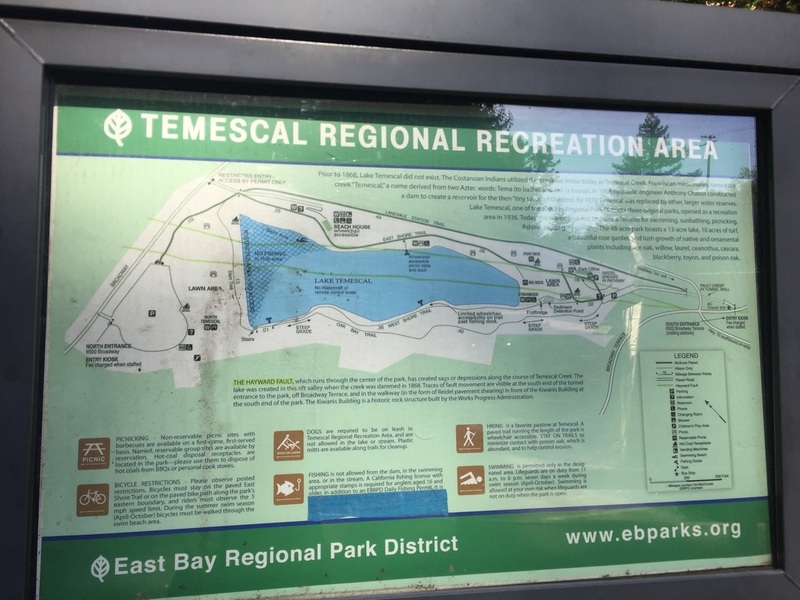 Description: This 48-acre park featuring a 13-acre lake has an easy, scenic trail looping around the base of the lake with plenty of benches to sit on and enjoy the view. 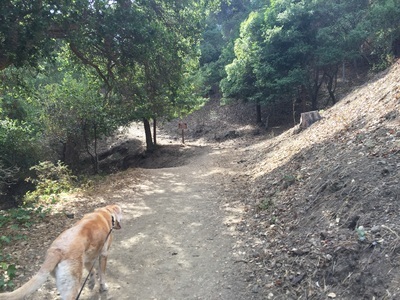 It also has a steeper trail on the West shore, which has great views of the lake from above. 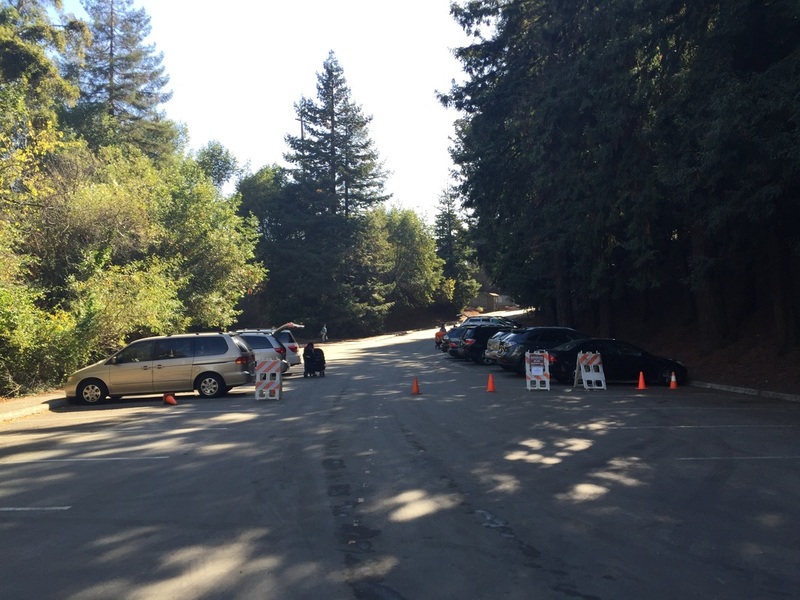 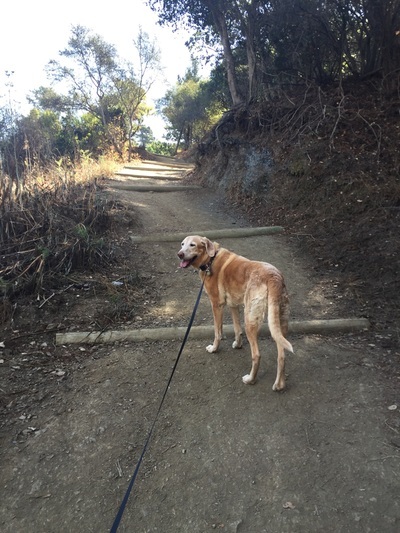 You can start your walk at the base of the lake on the Eastshore Trail or Landvale Station Trail to the Dam Trail, and then you can hike uphill on the Oak Bay Trail and that will take you back to the parking lot. 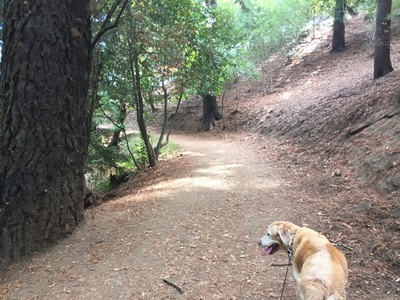 Although there’s a steep grade ascending and descending the Oak Bay Trail, it’s still an easy hike and there is significant shade along the route. 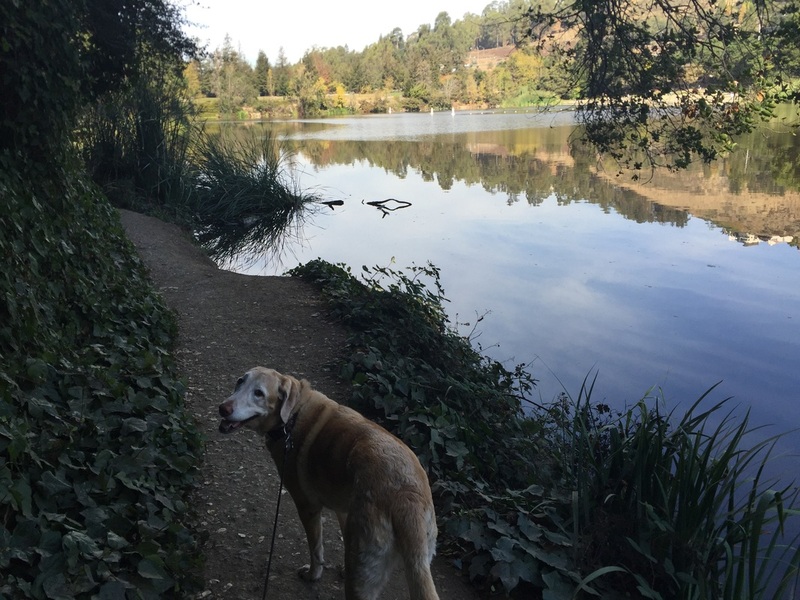 It's unfortunate that this lake has also been closed for swimming due to toxic blue-green algae, but it's still a beautiful park for an easy hike. 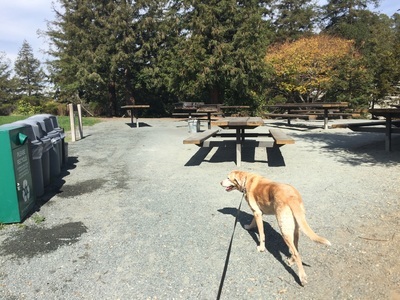 This park has restrooms, picnic tables and BBQ pits. 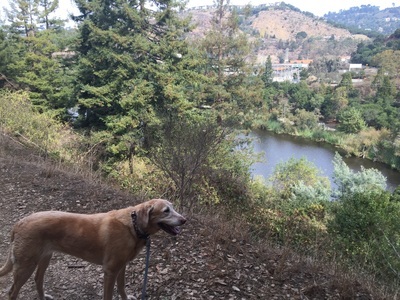 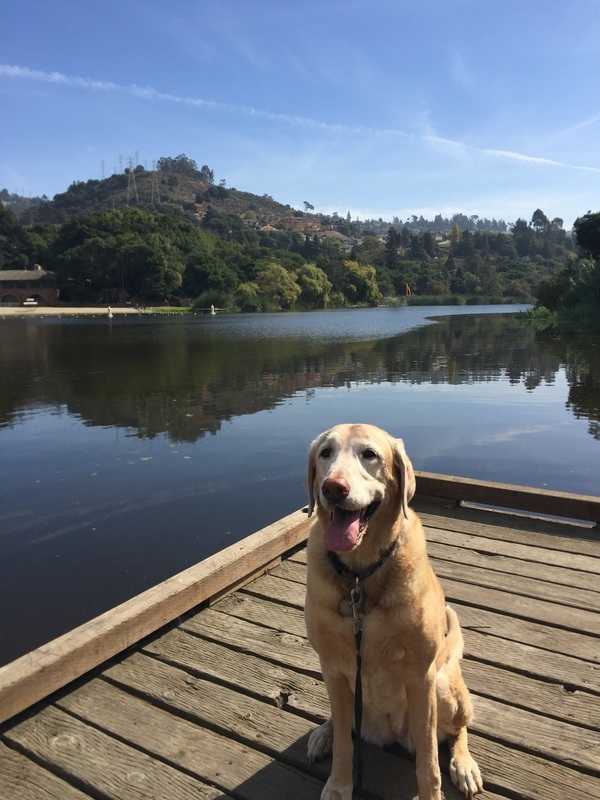 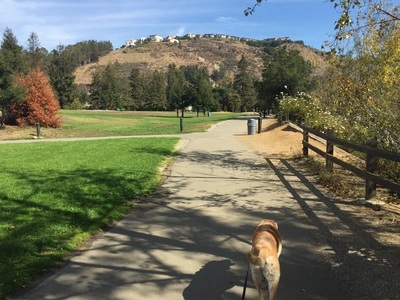 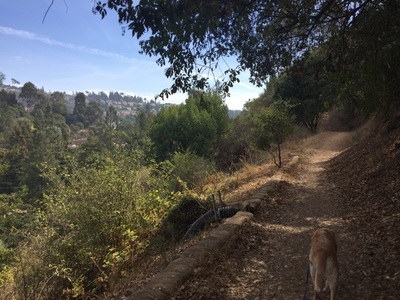 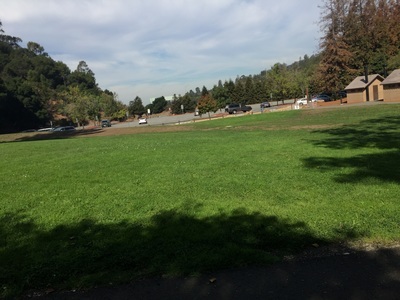 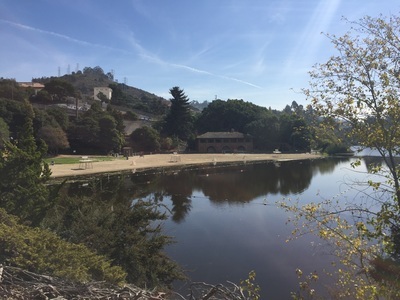 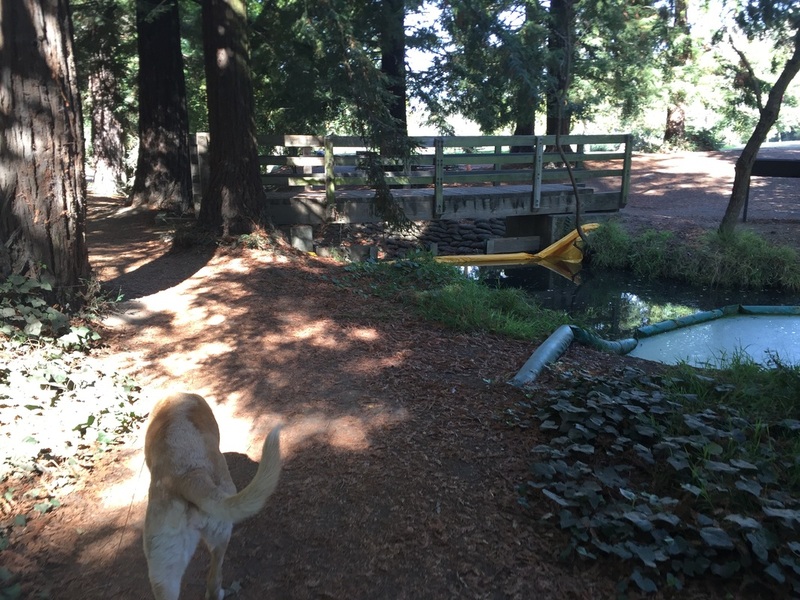 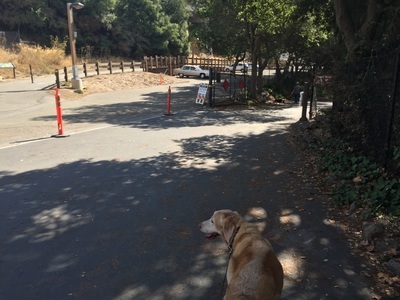 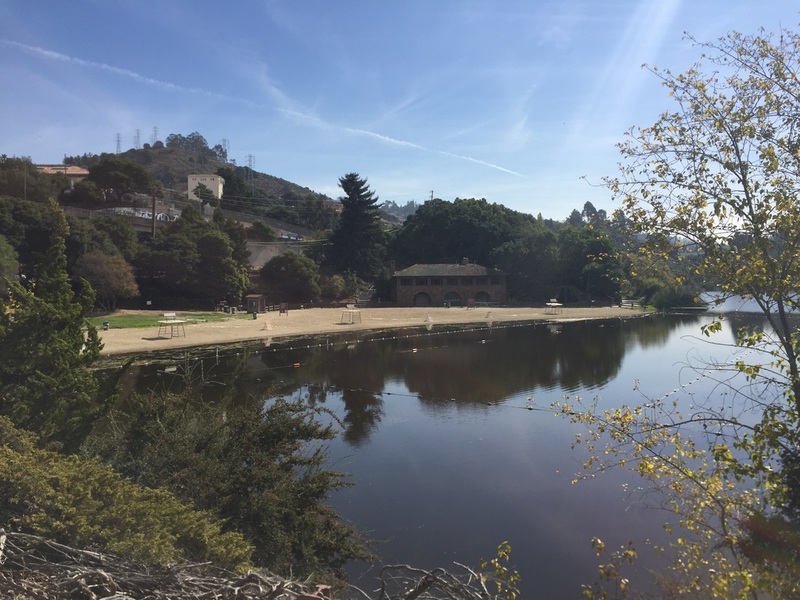 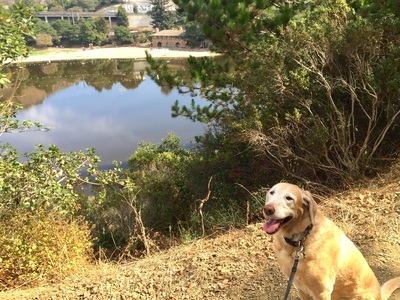 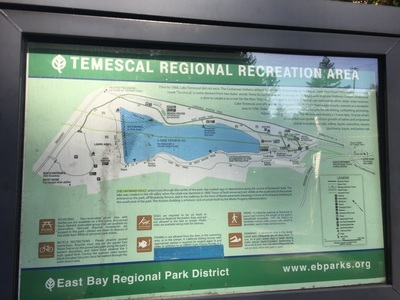 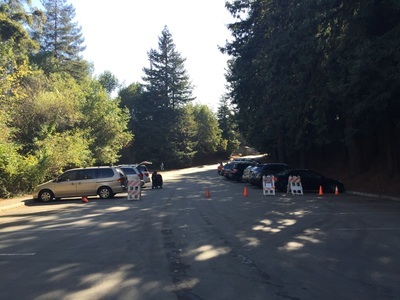 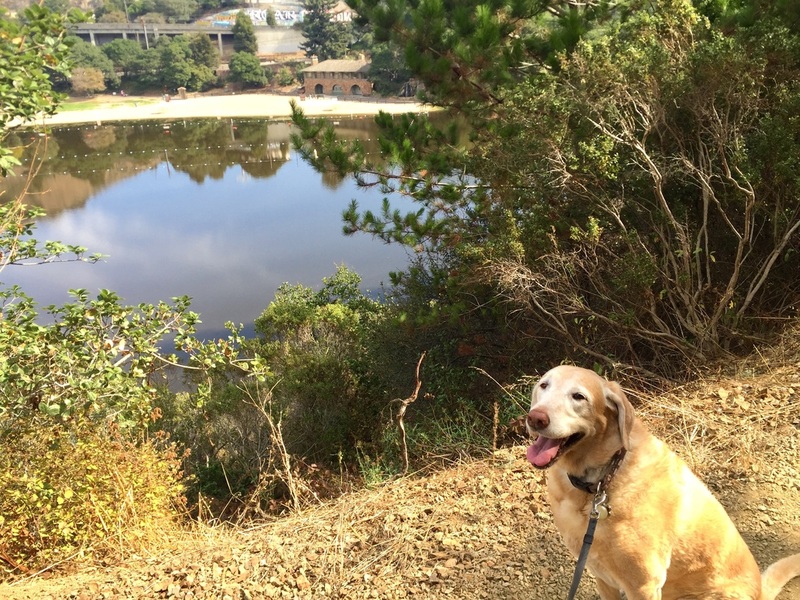 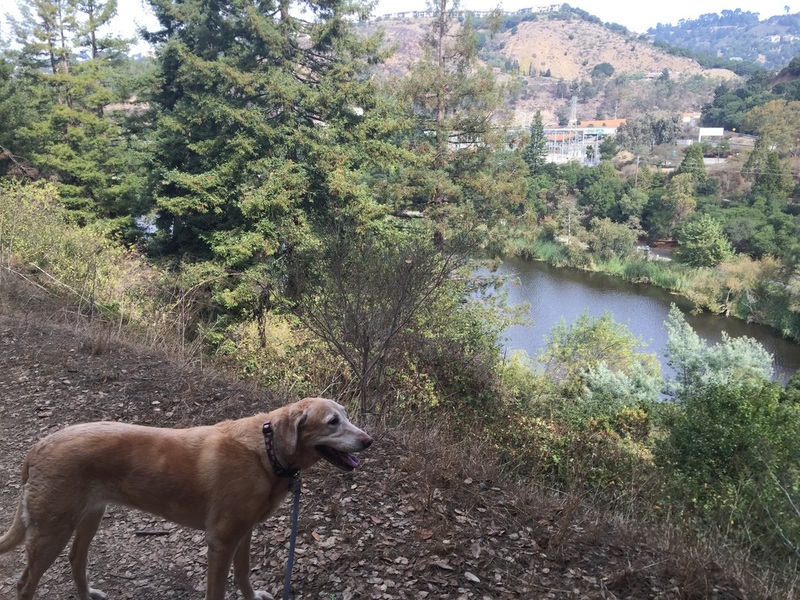 The park also has quite a bit of history, as the Costanoan Indians utilized the creek, and in 1868 Anthony Chabot built a dam, creating Lake Temescal to be used as a reservoir for the town of Oakland.